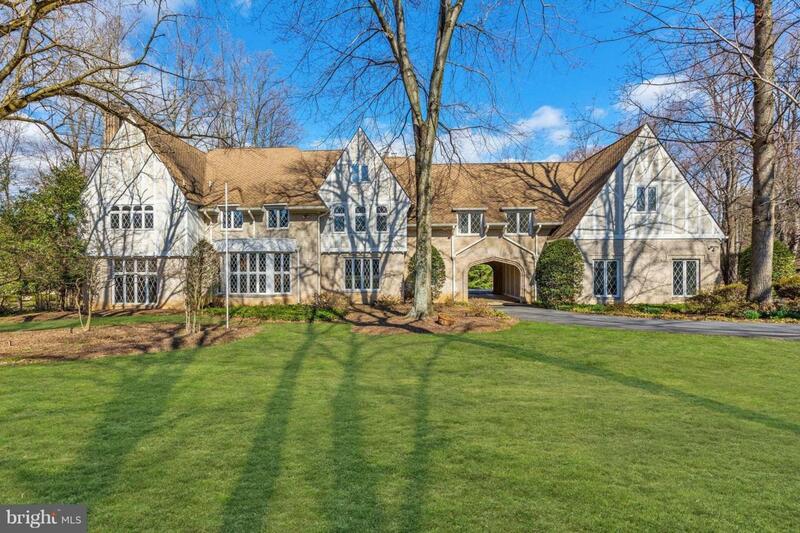 English tudor on majestic 2 ac lot w/pool. Dramatic 2-story oak library, three wood burning fireplaces & custom millwork. Upper level offers an ideal setup w/5 bedroom suites including a sep in-law apartment! Full walk-out lower lvl w/ bar, billiard area & more. Set back on a glorious, flat lot on quiet cul-de-sac. Close-in Potomac, near the Village. Great value!